radhakrishnan, 24 Nov 2010my keypad is locked. How to release it. This is the first phone i bought years back. I am star... morePress the joystick 2 oder 3 times. This was my first cellular phone when Digicel came to Jamaica in 2001. A tough, dependable phone. It will always hold a place in my heart. my keypad is locked. How to release it. This is the first phone i bought years back. I am starting to reuse it. please help. My very first phone when Digicel was launched in St. Vinvent. 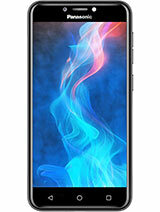 West Indies/Caribbean, strongest phone next to Nokia. Harry, 10 Apr 2009This was my first phone which i bought in 2001. it was perfect and wway ahead of the other nok... moreu still got it? thats impressive, im trying to buy this phone, cant find it anywhere, yes i no its a few years late, but i just broke my phone and need one in the interim, and ive always loved this phone. good job on still having yours, even though u dont use it :P.
This was my first phone which i bought in 2001. it was perfect and wway ahead of the other nokia and samsung phones of that time. joystick was great, good response, customizable ringtones and displays, ringtone creation, good colors to choose from for display, good battery life.it was perfect and very sturdy. 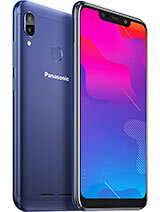 i want panasonic to make the same phone with all the new cool stuff packed into it. the only drawback of this phone is the silver color as it got scratched very easily and then it dont look good. 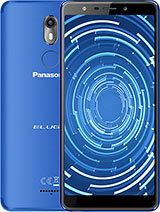 i still have this phone, although i dont use it..
Really Panasonic GD75 is the best phone I ever seen or had if u r a serious phone user in terms of dialling , receiving & SMS. It is very easy to carry bcoz of its oval edge shape. Actually I never find any phone with auto turn off. Many many times it has fallen down on the street & water but no probs still working fine for 7 years. 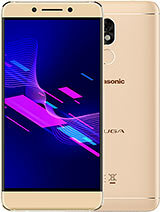 Now I would like to request Panasonic company to make the same phone with latest advantage such as good camera with flash,3G,TFT 16M color,card slot, bluetooth,USB, GPRS, WLAN, unlimited phonebook entries with 30 dialled,receive & missed call & a good music system with radio. In addition it has to be with a very good battery life. This was my first phone, Amazing!!!!!! and way ahead of its time.could record your own ringtones from audio cds and stuff!! excellent. Anonymous, 26 Jul 2005Lock and unlock keypad is click on your middle button and goto the left where its a key, that ... moreplease help me on how to unlocked and locked my x100 model cellphone. thank you. iam not ablee to download the ring tone ..or else i dont know how to doen load. I like the solid, robust casing of the phone. Good, loud polyphonic ringtones and buttons with very stable operation. Battery is a bit weak, lasting only 3-4 days. The key pad of my GD75 has got locked and a “key” sign appearing on the screen. None of the keys are operating except the red button for switching off & green button for receiving calls. Hope some one can help me with the key pad lock deactivation code. All my contacts are on the phone and I'm changing phones. I can't find the function to copy contacts from phone to SIM. Does that exist? i bought this phone in 2003 but still it works just fine after 4 years ive change the battery once, this phone is realy tough at any condition it wont let you down even you drop it!!! 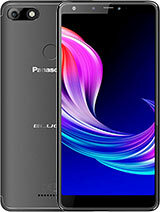 it still intack not like other cellphones goes in many pcs... i accidentally drop it outside the car while running 40kph when i pick it up it still working 100% jst a few scratch on it.. good work panasonic!!! 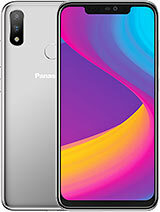 Total of 318 user reviews and opinions for Panasonic GD75.